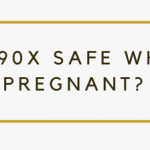 For each of these products, there are obvious positives and negatives that go beyond the amount of actual food you’re allowed to eat or the taste of the products. Since people have different tastes and respond differently to one shake per day vs. six shakes per day, it’s always difficult to say which product is best for everyone. With that in mind, we evaluated Shakeology 3 Day Refresh vs Ultimate Reset vs Advocare for their health benefits, debunked some of their claims that might lead you to believe you’ll shrink 25 pounds in seven days, and picked our favorite product that worked best for us. It should also be noted that before you make any major dietary changes, it’s always recommended that you consult your doctor to make sure you are keeping your health at the forefront of any decision you make. This 21 day program is designed around drinking (lots) of mineralized water, introducing (lots) of supplements to your diet, and follow a diet plan that gives you a fair amount of freedom to pick and choose. The recipes are pretty good and easy to make, which helps for those of us with families to feed. Best advice is to meal prep before you start so many of your meals are made when you need to eat away from home. 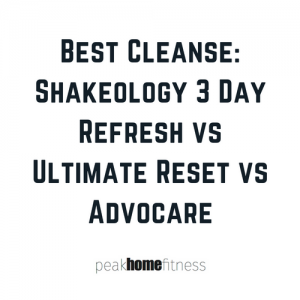 Advocare is a brand many of us are familiar with, and they put out a decent 24 day detox challenge that is similar to other cleanses like Ultimate Reset vs Shakeology 3 Day Refresh. The Advocare 24 Day Challenge is a cleanse broken up into two parts — Cleanse Phase and Max Phase. The 10 day cleanse phase prepares your body for “optimal nutrition,” while the two week Max Phase aims to fuel your body. For the most part, you’re left on your own to adjust your diet, as the Advocare products enhance your body’s natural ability to digest and flush out toxins. There is a meal replacement shake, but that is about it aside from general dietary guidelines. Many people gravitate to this cleanse as opposed to Ultimate Reset vs Advocare because it is only three days long. While that sounds good, the reality is that those three days are tough! The program asks that you take a Shakeology for breakfast, and another protein-rich shake for lunch and dinner. There is also a fiber-rich drink you will take in those three days, along with fresh fruit, vegetables, and healthy fats. Each program offers a little something different, and you’ll lose weight if you stick to the program guide. 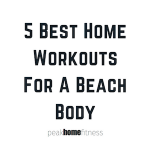 However, our favorite cleanse and the one we think will work best for most people is the Beachbody Ultimate Reset. While it does end up being the most expensive of the three cleanses we tested, it is also the most effective and you will begin to notice the weight loss in just a few days. The recipes are easy to make, and as long as you take the time to meal prep, the program becomes habit after a few days, allowing you to focus on finding new clothes that fit instead of what your next meal is going to look like.